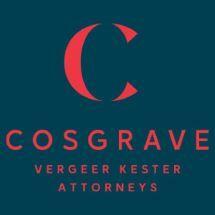 When people in Portland, Oregon, need broad yet focused legal counsel, they turn to Cosgrave Vergeer Kester LLP. From our law firm, we help clients handle everything from business and commercial litigation to personal injury and property damage liability. With more than 81 years of experience advocating for individuals and organizations of all backgrounds, our attorneys are invaluable assets in and out of the courtroom. We work tirelessly to see our clients’ goals met. Thanks to our lawyers’ diverse portfolios and former work as deputy district attorneys and assistant attorneys general, we are able to skillfully represent people with cases of all kinds. In addition to litigating on behalf of insurance companies and businesses, we help clients find resolutions for construction, employment and environmental matters. Our law firm routinely handles toxic torts, estate and trust planning, financial services compliance, product liability, professional liability, real estate, and regulatory and taxation cases. Additionally, our appellate attorneys are there to represent clients before the U.S. Supreme Court, Oregon Supreme Court and Oregon Court of Appeals. Although litigation is one of our key strengths, it is not the only strategy we employ to achieve favorable results. Our law firm uses arbitration and mediation whenever possible to resolve disputes, saving our clients time, money and the pressure of a courtroom appearance. If we are unable to reach a suitable agreement, however, we take the case to trial. At Cosgrave Vergeer Kester LLP, we are pleased to take credit cards as an accepted form of payment for utmost convenience.